Morley Accordion Club (formerly known as the Intermediate Accordion Club) was formed at Morley College, London by a group of players in 2009. All had studied on the beginners and improvers accordion courses at the college and had been playing for around 3 to 4 years. 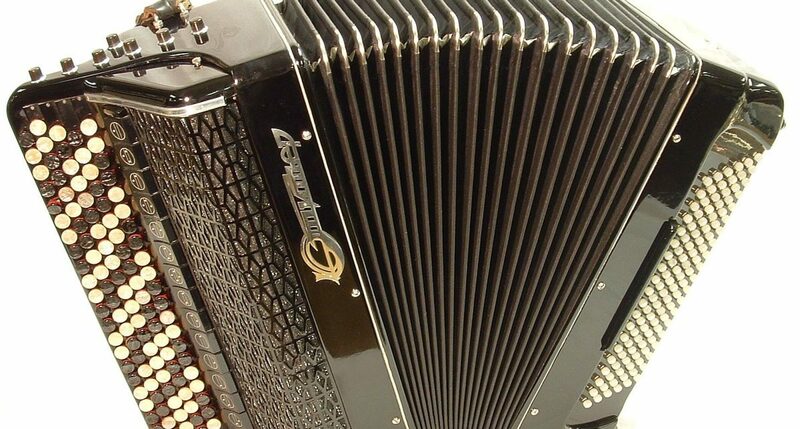 Having reached a certain standard, those students felt there was a need for a more advanced accordion course that would enable them to continue to progress to a higher standard in solo and ensemble playing, but still within a group format. The club meets on one Sunday a month during college term time for an intensive – but fun and enjoyable! – half day session led by Julie North. Most of the sessions are held at Morley College and a few at the Wheatsheaf Hall or the Siobhan Davis Dance Studio (a short walk from the college). The sessions combine development of technical skills and general musical ability with duet, group and ensemble playing. Members are encouraged to perform solo pieces to the rest of the group to develop confidence and performing skills. 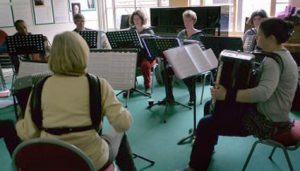 In the past the Club has organised ‘genre’ workshops to explore different styles of accordion repertoire such as folk/world music, jazz, klezmer and zydeco. Although none are planned for the immediate future, it is hoped that some more of these will take place soon. There are also opportunities for members to meet in ‘open’ sessions in smaller groups for ensemble practice arranged by themselves.